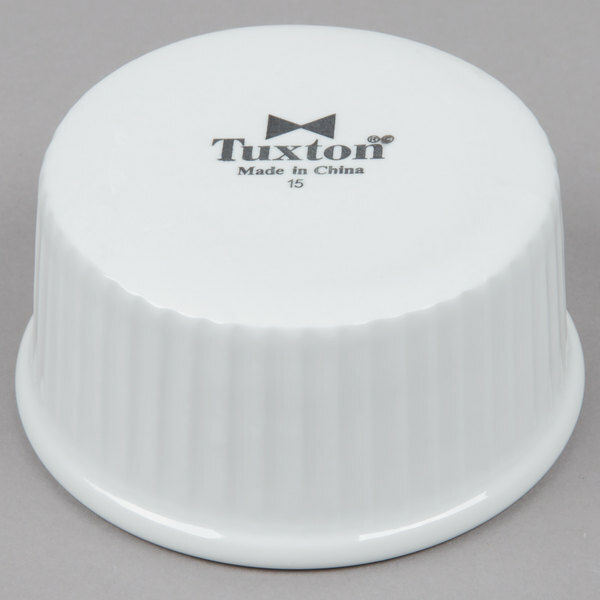 This Tuxton BPX-0502 DuraTux is a fluted china ramekin that is sold in bright white and is 5 oz., 3 3/8" diameter x 1 5/8" high. The Tuxton BPX-0502 is perfect for restaurants, institutions, and any other commercial foodservice applications. Use this ramekin to complete your table settings. You can even combine it with other colors and sizes to create an exciting, layered tabletop presentation. From fresh fruit and veggies to condiments, dressings, and salsas, your culinary creations will look as great as they taste when served in this attractive glazed dinnerware. Whether your specialty is farm to table fare or Southwestern cuisine, this white color and pattern will enhance the presentation of your signature menu items. It boasts a durable construction that will last, even in your high volume restaurant. 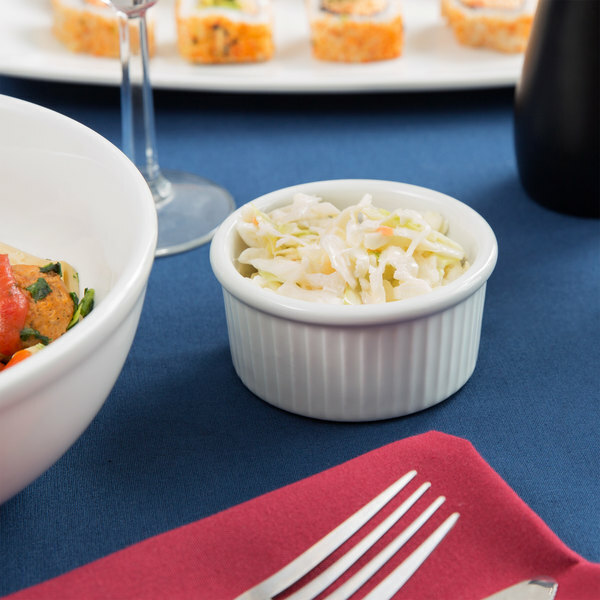 Confidently serve your guests with style using this Tuxton ramekin. Highly recommend this product multiuse perfect size for any dishes sides or dipping. We used them for our event and we love them if we need more in the future we will definitely don't hesitate and purchase them. These are great for sauces or any kind of accoutremonts that you may pair with a dish. Nice classy look and they hold up in dish. These are really nice. They are a little smaller than we thought they would be but that is my own mistake. The finish is good without flaws. We use these cups for our trio dips. Perfect size and easily accessible for the dips. They look great and last a long time, good to see. 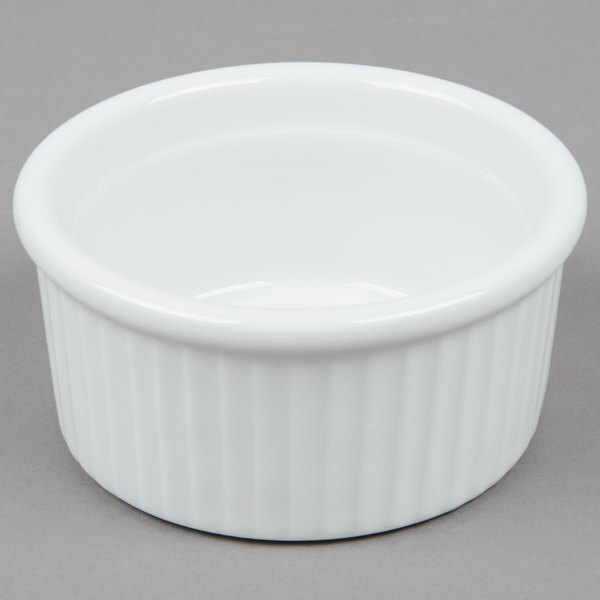 Ramekin's are those utility items that you need, but don't want to think twice about and this one delivers. It's a great size for baked deserts, sides, or even dipping sauces for small groups. 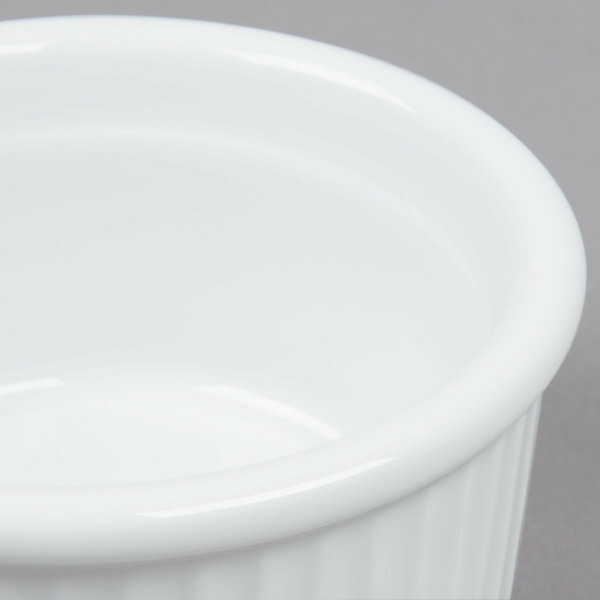 Freezer, oven, or dishwasher, this ramekin can take it and will certainly last - not something you can count on with plastic knock-offs.